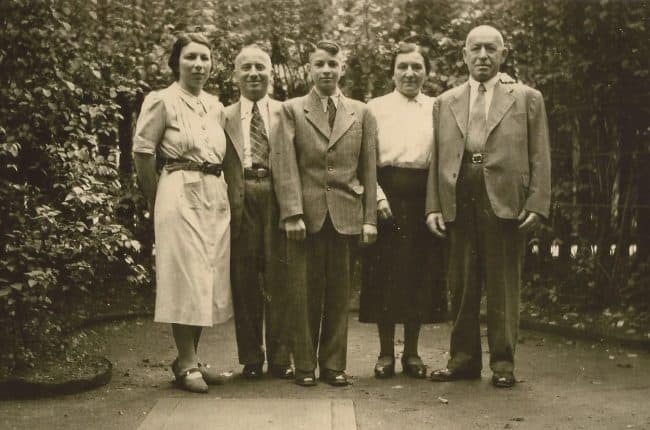 Many readers know the Jewish Community Partners staff through our work. In this series, you’ll hear from members of the team in their own words, sharing more of the story of who we are. College/Graduate school: I received my BA in English/Professional Writing and my MA in Teaching English as a Second Language at the University of Memphis. How long have you been a member of the Memphis community? From birth! What is your job at JCP, and how long have you worked here? I joined the JCP in July as the Israel@70 Project Coordinator. In what initiative or project of your work are/were you most emotionally invested? I’m very excited about working with everyone at the JCP, the Jewish community, and the broader Memphis community to celebrate Israel’s 70th birthday! Who do you consider your most influential role model? Why? My friends are my most inspiring role models. 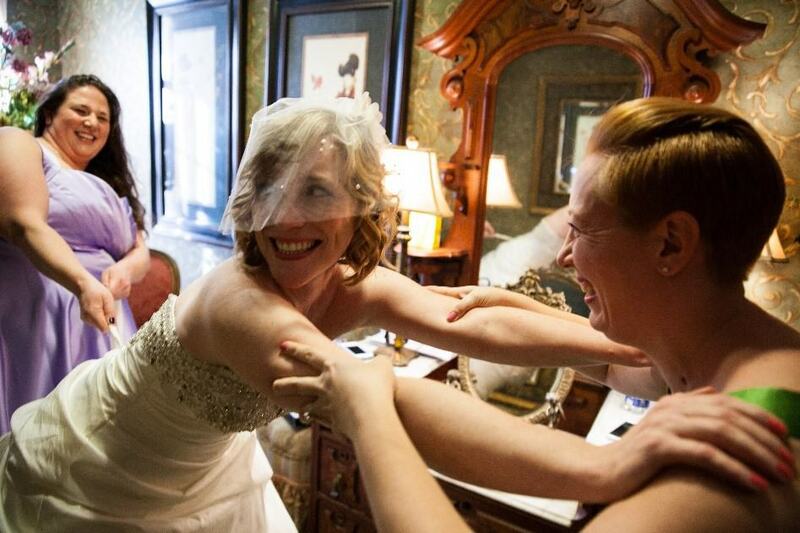 My besties, Marybeth and Sarah, are pretty much my litmus test for how to be amazing. Favorite foods to cook: Cook? No. Takeout vegan? Yes, please! Favorite TV show or movie: PARKS AND RECREATION!!! 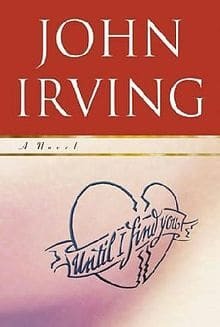 Favorite or most impactful book: One of my favorite authors is John Irving. I’m currently re-reading his 11th novel, Until I Find You. What is the craziest & most adventurous thing you have ever done? So, this isn’t really crazy (and maybe only slightly adventurous), but I recently climbed our two-story-high magnolia tree with the kids. They thought it was the Coolest.Thing.Ever. What is your fondest memory? 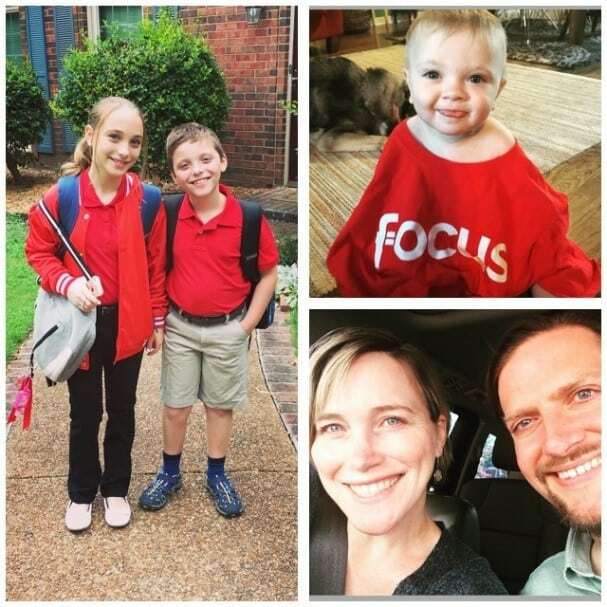 The changes in weather always evoke the strongest memories for me, and most often it involves memories from when my older children were little. I miss those days! What do you think makes the Mid-South a good place to live? We say y’all unapologetically. There is literally good food EVERYWHERE! We don’t pretend to be perfect, but embrace our problems and work to make our city a better place for everyone. I know so many unspoken heroes doing the hard work that makes Memphis a great place to live. They deserve endless credit for their grit. Do you have any surprising or unknown talents? I can wiggle my ears. Who’s the most famous person you’ve ever met? How did it happen? 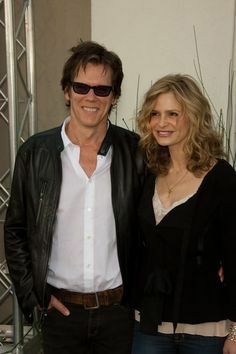 I met Kevin Bacon and Kyra Sedgwick in an elevator in New Orleans. We’d just eaten dinner in two story restaurant and took the elevator to the first floor. Right as the elevator doors started to close, in walks Kevin and Kyra. At the time, I’d been binge-watching The Closer. All I could muster was a few words to Kyra, “I love your show.” Total fail! What’s the earliest global news event you remember being aware of as it happened? My husband is a history professor, and if I get this wrong, he’ll be so embarrassed. Pass! Do you have a favorite cocktail, wine, or beer (preferably a local brew)? I don’t drink, but I’ll cut you if you take away my coffee.